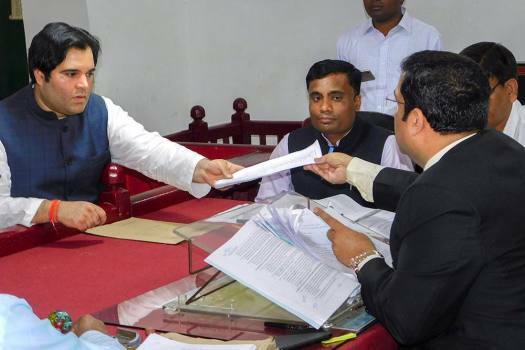 BJP MP and Lok Sabha candidate from Pilibhit Varun Gandhi, files his nomination for the upcoming Lok Sabha elections, in Pilibhit. 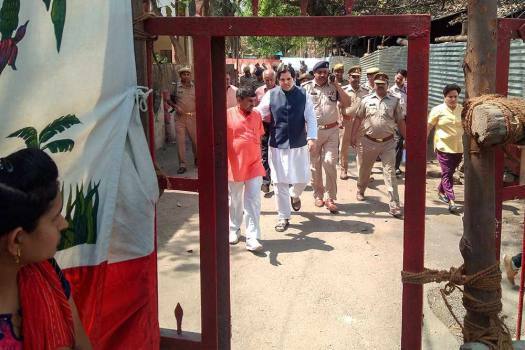 BJP MP and parliamentary candidate from Pilibhit district, Varun Gandhi, arrives to file his nomination for the upcoming Lok Sabha elections, in Pilibhit. 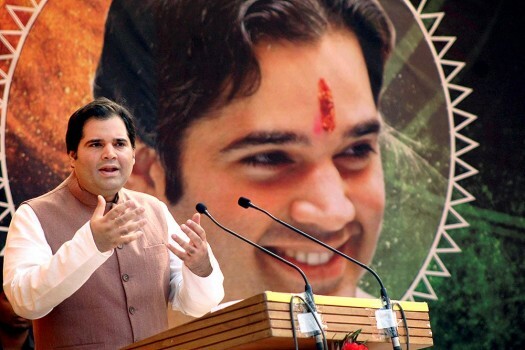 BJP MP Varun Gandhi while speaking at an institute on the 'Empowering of Technical and Professional Education', in Meerut. 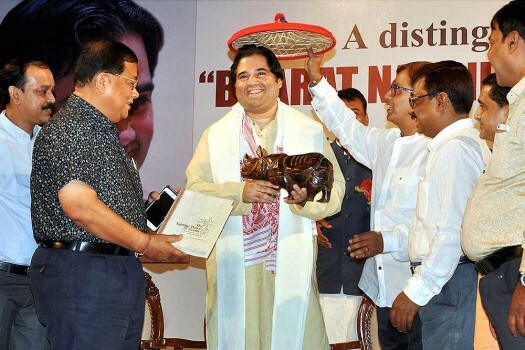 BJP MP Varun Gandhi being felicitated as he delivers a lecture on 'Bharat Nav Nirman Ke Liye Nayi Soch' at the ITA Machkhoa, in Guwahati. 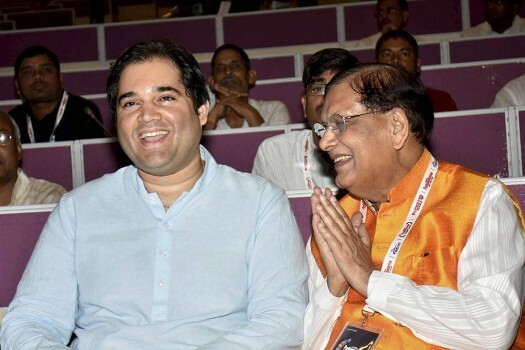 BJP MP Varun Gandhi with sociologist Bindeshwar Pathak during Parliamentarian Conclave at Gayan Bhawan in Patna. 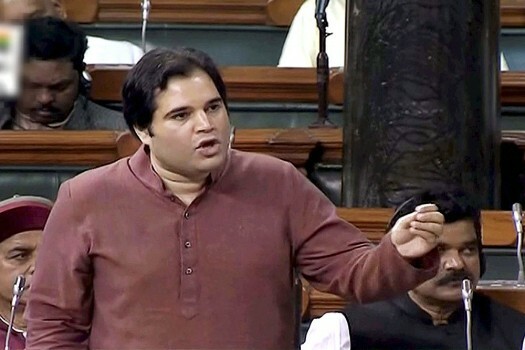 BJP leader Varun Gandhi speaks in the Lok Sabha during the ongoing monsoon session of Parliament, in New Delhi. 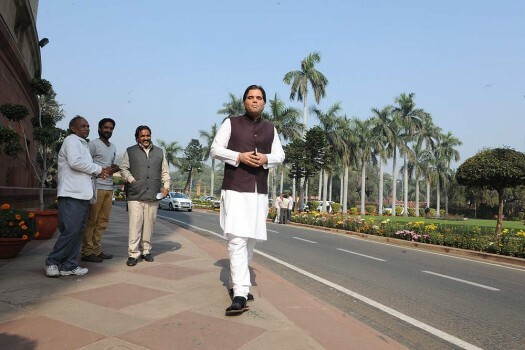 Varun Gandhi, BJP MP from Sultanpur constituency at Parliament house during the winter session of the Parliament, in New Delhi. 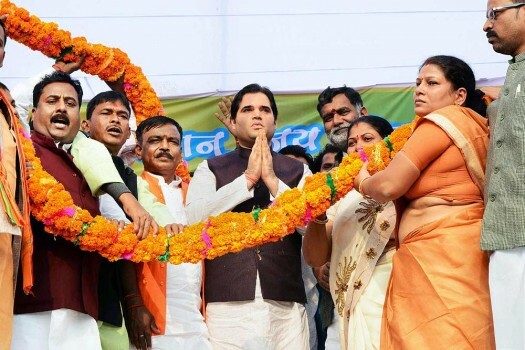 BJP leader Varun Gandhi is garlanded at a function, in Gaya. Why am I not a Gandhi yet? 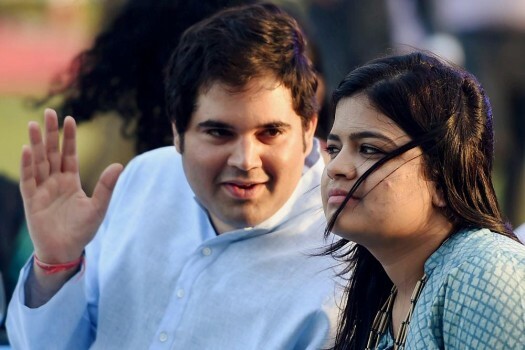 BJP MPs Varun Gandhi and Poonam Mahajan during 'The United Nations Young Change Makers Conclave 2015' in Mumbai. 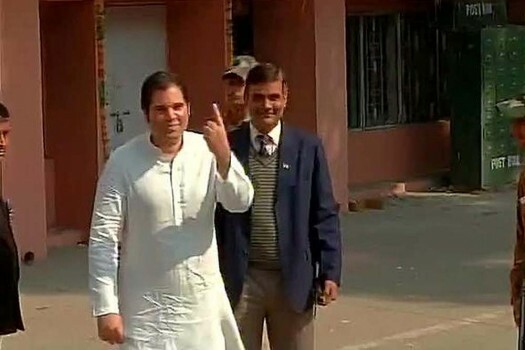 Varun Gandhi casts his vote. Murli Manohar Joshi had won from Kanpur in 2014 but was told by the party leadership that he would not be fielded in the coming elections. Gandhi said many talented youngsters are unable to join and shine in politics as they do not have influential fathers and godfathers. Senior Muslim leader Haji Jameeluddin said Varun was being ignored in the BJP and that no other leader other than Narendra Modi is allowed to say his or her 'Mann Ki Baat' on public forums. 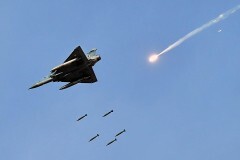 After Ahir's comments, Varun said his recent piece focused primarily on defining India's asylum policy, with clear demarcations on how "we would accept refugees". Don’t read too much into the seemingly rapid growth of greenfield FDI in India. Here’s why it’s no indication of a revival in our investment cycle. In keeping with our culture of open arms, India has absorbed lakhs of refugees of S. Asia. We need to formalise this with clear-cut laws. Do away with the death sentence. It’s vengeance legalised. MFIs are a good idea. But in India, the concept needs tweaking. 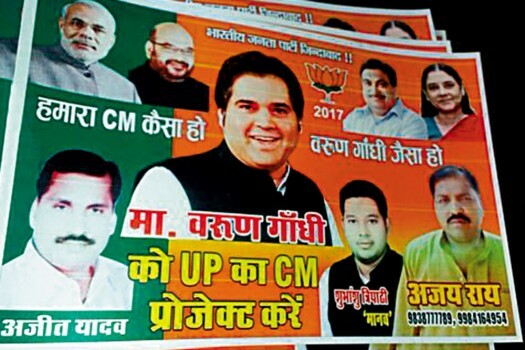 Do Elections Bring Out The Worst In Politicians? It was not like that in 1951-52, at the time of the first general elections. What has happened between then and now is the steady advance of identity politics over all other kinds of politics in India. Nobody can seriously expect that identity politics will vanish from the Indian scene or even that appeals to the loyalties of caste and community at election time will come to an end. But as long as all issues are subordinated to the articulation of the grievances of particular caste and particular communities, albeit in the name of equity and justice, the electoral process will continue to move in the direction in which it was set off about twenty years ago. 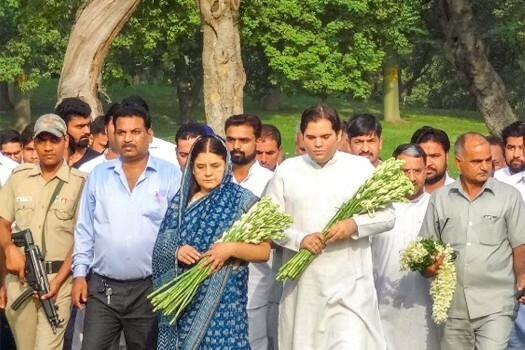 Varun Gandhi’s recent troubles need to be understood in their proper context. That context is that he is what an earlier generation of critics used to call an Indo-Anglian writer, a poet. In 2000, he wrote a book of poems with the subtle and original title, The Otherness of Self, illustrated, among others, by Anjolie Ela Menon and Manjit Bawa. 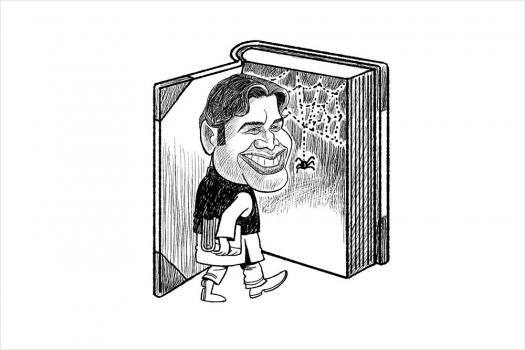 Asked about his debut, Varun Gandhi said that he wrote poetry “[b]ecause it is so precise and illustrates the strength of language”. To contrast this writerly sentiment with the thigh-slapping crudeness of his election speeches would be a cheap shot because there’s no real contradiction here. 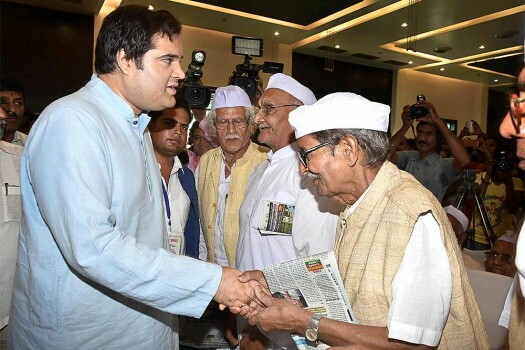 Feroze Varun Gandhi reserves his finer feelings for English verse; in the course of an election campaign, he speaks the robust vernacular prose in which Indian politics is done. "We understand his viewpoint. I also know your viewpoint. It is not our viewpoint. And there is no point in raising the same point!" There is a long history of the educational qualifications of the Gandhis not quite being what they are claimed to be. "degree from the LSE (BSc in Economics), earned through a distance-learning provision, although he was never admitted to LSE's own undergraduate body. Later he was enrolled at SOAS (MSc in Sociology) but never completed the degree,"
as this petition points out. 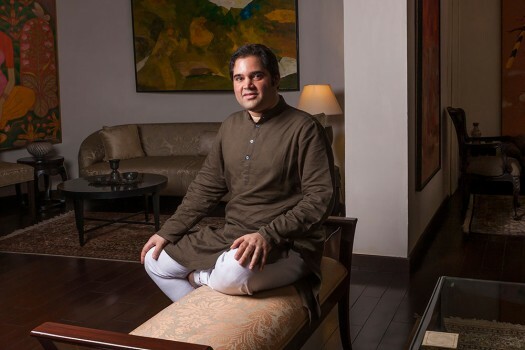 The SOAS Alumni Relations Officer, has confirmed that Feroze Varun Gandhi never graduated in Sociology from SOAS (as claimed by him/media) as he withdrew from his MSc programme before completing it. 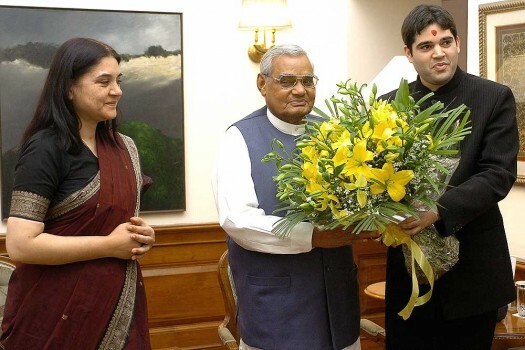 Feroze Varun Gandhi's connection to the LSE was only through the "University of London External System", which is a distance-learning provision administered by the LSE. 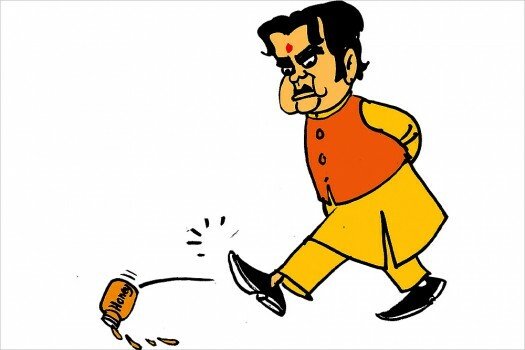 He was never been admitted into the LSE's own undergraduate student body and was never a member of LSE's campus..
L'affaire Varun Gandhi: Hypocritical Media Indignation? 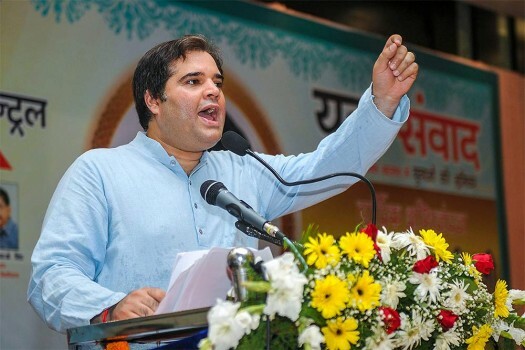 If the media really believed that Varun Gandhi’s speech would cause unrest among a section of the people, did the repeat telecasts of the speech make any sense? ...When the Election Commission sincerely believes that it was indeed a "hate speech" and might cause communal disturbances, it should have intervened and restrained the media from repeat telecast. They did their job by reporting the event with the CD supplied to all channels by a mysterious source. Follow up stories need not always be with the same offensive CD. Finding an excuse to repeat the telecast of the CD only exposes the channels' real intentions. It also helps those who charge the mainline channels of being anti-majority. Though conventional ethics demands that the source need not be disclosed, on instances like this, where the CD is not the result of the efforts put in by the reporting staff, revealing the source might help viewers make up their mind as to the intentions of those behind the CD that is dished out to them at least a dozen times a day, irrespective of the genuineness of the CD. Particularly so when Varun is harbouring a conspiracy theory. 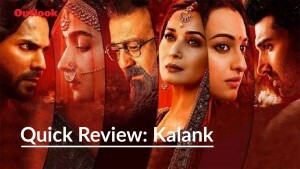 This is analogous to the tendency of both print and electronic media to decry obscenity while showing obscene pictures on the pretext of dealing with the subject, in the process titillating readers and viewers. If one reads them without blinders, one realises they are two chapters in the history of liberalisation and globalisation. 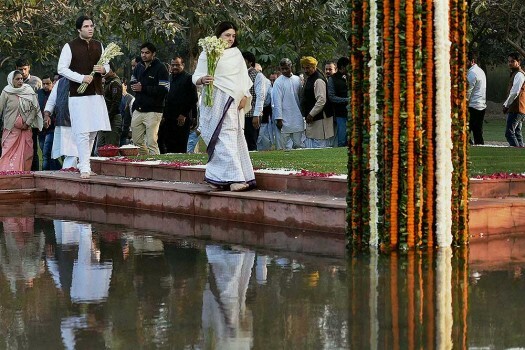 Sanjay inaugurated the privatisation of the state to which Modi added the corporatisation of the state. For both, concepts and ideology were secondary, mere footnotes to the logic of power. 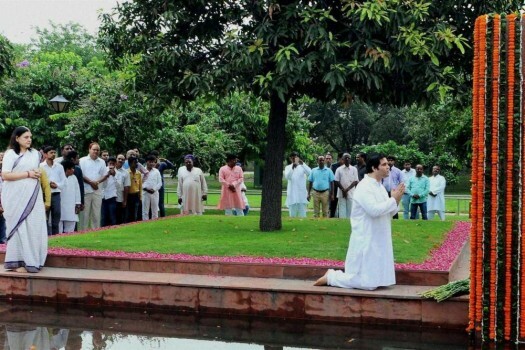 Modi is just a later version of Sanjay, a leader with a PRO. Both knew how to cater to middle class vulnerabilities. In Sanjay’s time order came when trains ran on time and clerks reached office before time. For Modi, the disciplined body of the middle class now reacted to words like security and toughness. Both realised that evil, fascism, tyranny becomes possible if one can play on the insecurities of the middle class. One often asks why the Congress in Gujarat is silent about riot victims or development? Why is there a sense of the twining of these parties, both built around the middle class as an abstract imagination?